Jan Wright gave a great presentation to the NZPI conference on Wednesday. A highlight. Sea level rise and its consequences so well and simply explained. "We're used to the sea going up and down, but basically staying put..."
Jan Wright built up the picture of what can cause flooding. River flooding will also be an issue. Every 1 degree warmer the sea becomes, there is 7% more moisture held in the atmosphere. Basic physics. So when it rains, more water comes down, and rivers will carry more water. 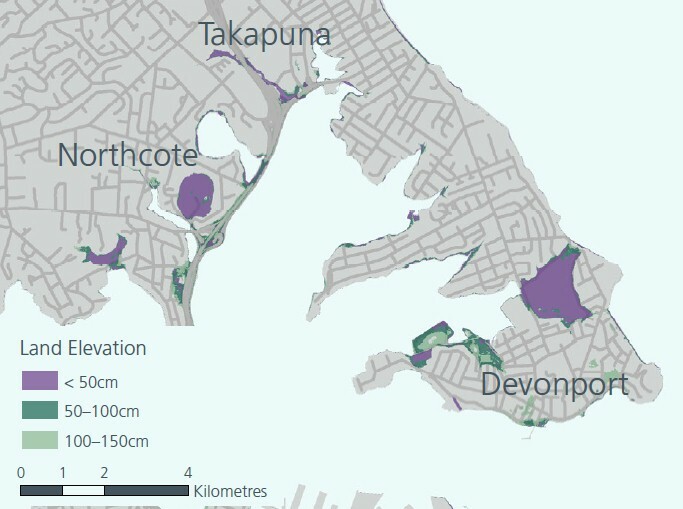 The PCE report about coastal flooding combines sea level rise, storm surge risk and river flooding to produce maps of low lying urban New Zealand that should prepare to be flooded in the next 20 to 30 years. 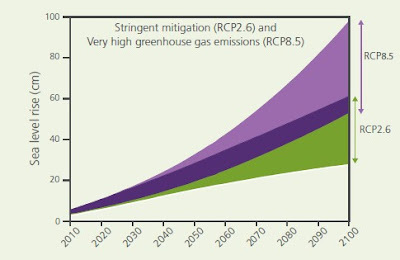 The most recent projections of global mean sea level rise by the IPCC relative to 1986–2005. The green band represents the range for the RCP2.6 scenario, and the overlapping purple band represents the range for the RCP8.5 scenario. The PCE has picked a conservative figure of 30cms for sea level rise for the present work. Here is the PCE map for a part of North Shore including Devonport. The purple areas are less than 50 cms above present natural sea level. These are the urban areas that will be prone to inundation under the conservative scenario described in the PCE report combining 30cm of climate change induced sea level rise + a 20cm storm surge. This blog posting shows what happened around Devonport when there was a high tide and storm surge combined in January 2011. (Research: According to historic weather data, on that day in Auckland the atmospheric pressure dropped to 995 millibars. This was the main cause of the flooding that day).You just need to add 30cm in water height to the photos in this posting to get an idea of what PCE's forecasts suggest is certain to happen in the not too distant future. 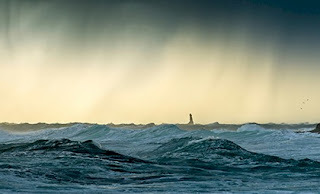 And that's without the sort of storm surge low pressure weather system that led to the sinking of the Wahine. Why Are House Prices Rising? I've just returned from the New Zealand Planning Institute conference which was held in Dunedin. One of the best I've attended. I was there as NZPI's Policy Analyst and there were some interesting sessions about NZ's planning system - with Productivity Commission, MfE, Sir Geoffrey Palmer, the Hon Nick Smith and Labour MP Phil Twyford. The debate and discussion about house prices is alive and well and most commentators argue that the main influence driving house prices is supply - that more houses need to be built - in fact Phil Twyford went so far as to be reported in the Otago Daily Times that Labour would "flood the market" with houses. 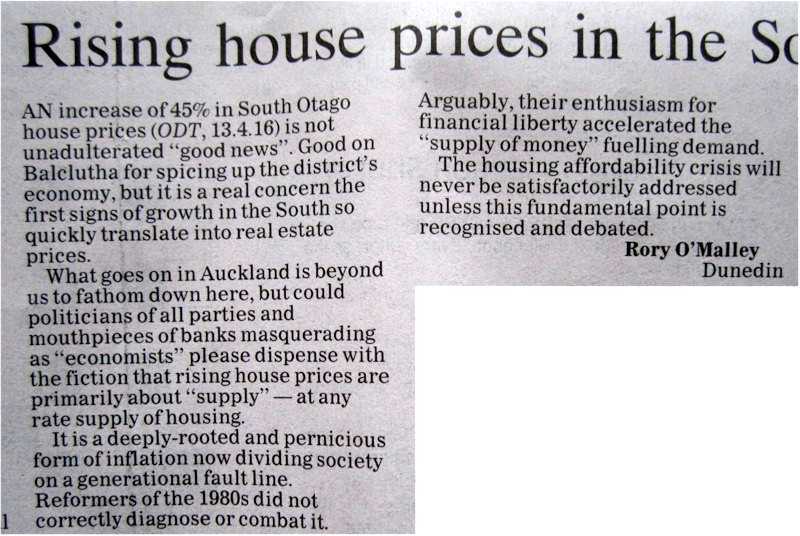 Much of the popular discussion in Auckland has suggested that the problem of increasing house prices is only in Auckland. This graphic clearly shows that the problem is right across New Zealand. All of the lines indicate the same upward trend in land price (for the cities reported). The "rest of New Zealand" line shows the same trend. This tracks along at about 0.3 before 2005, then increases to about 1.2 after 2010, an increase of 4x. 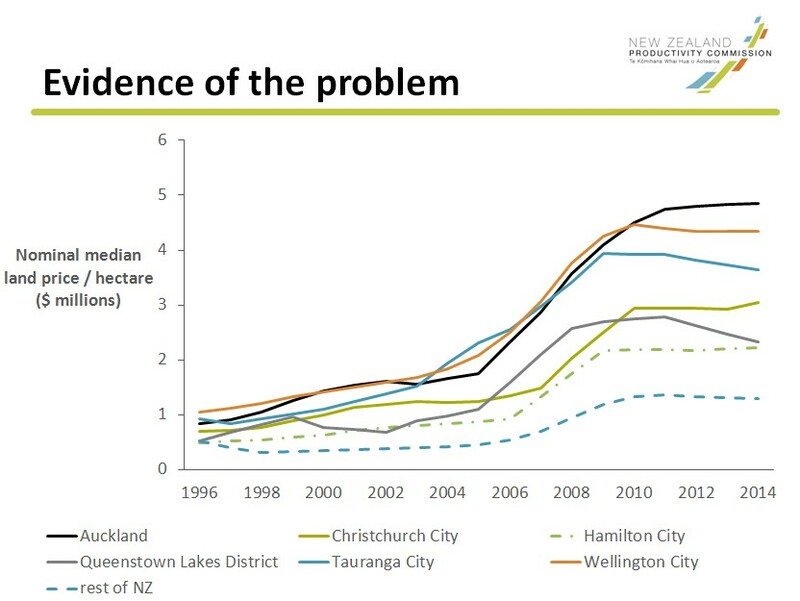 Auckland, between 2002 and 2004 is about 1.5, this increases to around 5.0, an increase around 3.5x. Thus you could say that the increase in land price (expressed as a multiple) is about the same in Auckland as it is in the "rest of New Zealand". Yet nobody is suggesting that there is a lack of supply of housing in many parts of New Zealand (Dunedin and Balclutha for example). So. If land prices are increasing at about the same rate right across New Zealand, apparently unaffected by variations in supply (supply is generally considered to be tight where growth is high such as in Auckland, but supply is not considered an issue where growth is low such as in Dunedin - or the rest of NZ excluding the high growth cities), then you have to look elsewhere for the reason for that increase in land price that is shown in the Productivity Commission data. Money has seldom been cheaper. In the span of a few weeks, many of our nation's largest financial institutions failed or were forced to merge to avoid insolvency. Capital markets — essential for helping families and businesses meet their everyday financing needs — were freezing up, dramatically reducing the availability of credit, such as student, auto, and small business loans. Market participants, consumers, and investors were rapidly losing trust in the stability of America’s financial system. Faced with this reality, the federal government moved with overwhelming speed and force to stem the panic. The first series of actions, including broad-based guarantees of bank accounts, money market funds and liquidity by the Federal Reserve, were not enough. Realizing that additional tools were needed to address a rapidly deteriorating situation, the Bush Administration proposed the law creating the Troubled Asset Relief Program (TARP). That measure, which was passed by Congress with bipartisan support, was signed into law by President Bush on October 3, 2008. Some of the programs under TARP were implemented by the Bush Administration. The Obama Administration continued these and added others, utilizing its authority under TARP to keep credit flowing to consumers and businesses, help struggling homeowners avoid foreclosure, and prevent the collapse of the American automotive industry, which alone is estimated to have saved one million jobs. 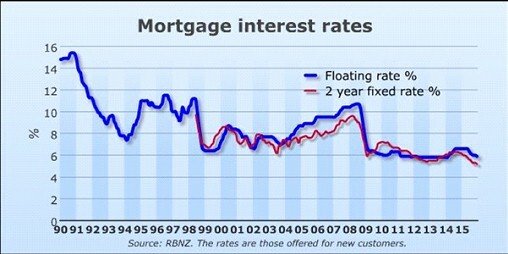 The red line records the Government decision, and the other lines record the consequences for various mortgage rates, and shows how money became cheaper. One reason for strong house price rises from 2012 to 2014 was the rapid expansion of New Zealand’s economy, which grew by an annual average of 2.9%. A second reason was low interest rates. A third reason was high immigration. Non-residents are generally allowed to buy houses in New Zealand. The source for this information is the Reserve Bank of Australia. What is particularly interesting is the policy responses immediately after the crash of 2008. 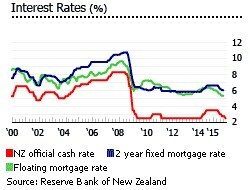 The target cash rate was dropped to just above 2%, like in New Zealand's case, but then it was lifted slowly up to 4% by 2011, and gently reduced again. 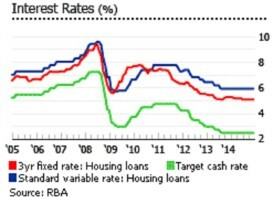 This mid-course correction appears to have had a significant effect in damping down the real estate gold rush effect that cheap loans can have, and is why Australia is having less of a problem than New Zealand with housing affordability. Anyway. I'm a physicist and planner. Not an economist. But seems to me that it's about time for New Zealand's government, and the opposition Labour Party, to stop arguing that increased housing supply is the answer to our problem with housing affordability.